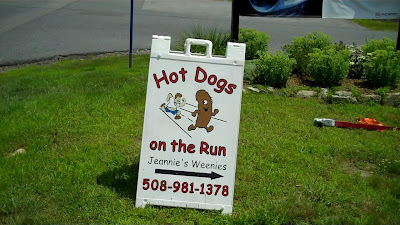 July 19th's stop on my journey to eat a hot dog a day in honor of National Hot Dog Month was an old favorite- Jeannie's Weenies, on the corner of Chestnut Street and route 16 in Holliston, Massachusetts. 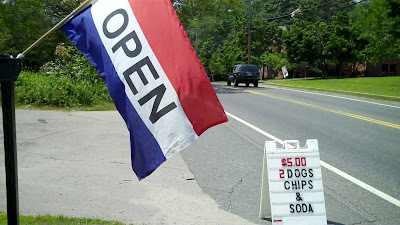 The "open" flag was flying, so I pulled in. 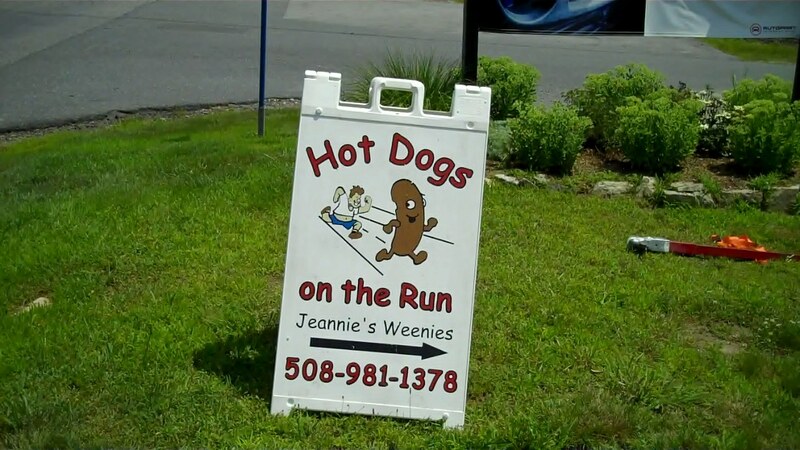 Jeannie's Weenies is run by the husband and wife team of Bruce and Jeannie Farago. 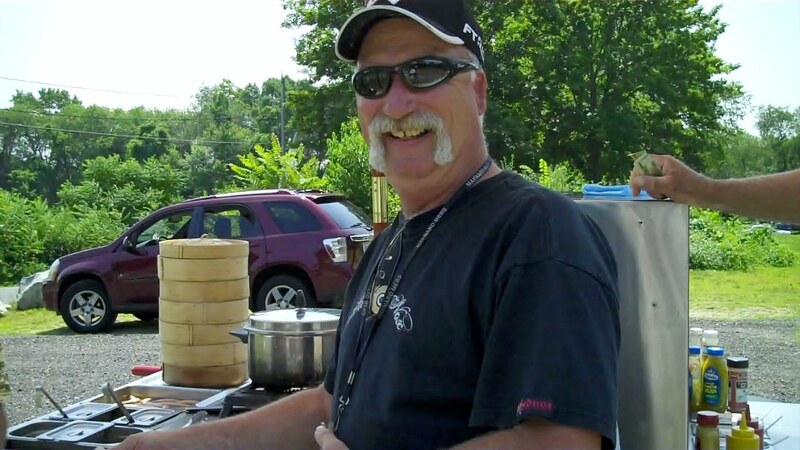 They have a combined 37 years of restaurant experience and last year they decided to parlay all that know how into opening Holliston's only hot dog cart. Bruce runs the cart and slings the dogs while Jeannie does the books, marketing and catering. 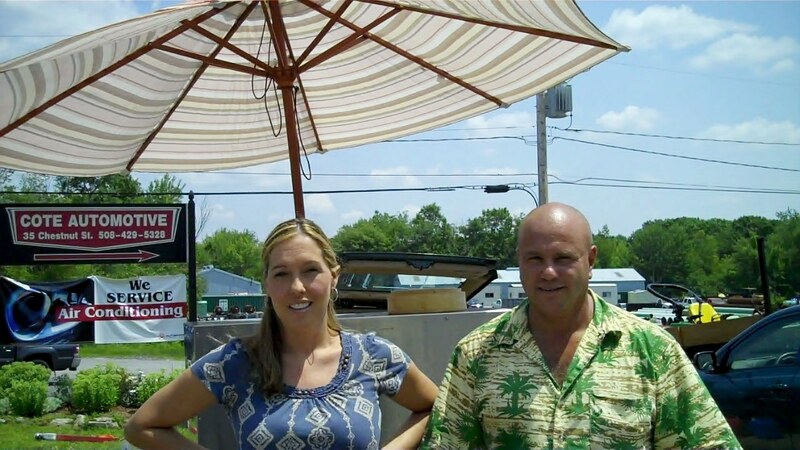 When she's not running her hot dog business, she tends bar at Casey's Pub in Holliston. It's a cute little cart- a Ben's Big Dog cart to be exact. Bruce believes hot dogs taste better from a hot dog cart and he has customers who stop just for the cart. 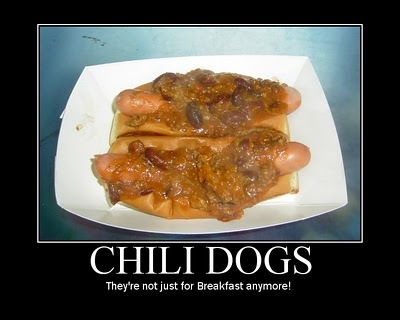 It's self service on the condiments at Jeannie's Weenies, unless you get chili or cheese. The customers were in high spirits on this gorgeous summer day. This guy wants to be a model for the next generation of Uncle Sam posters. 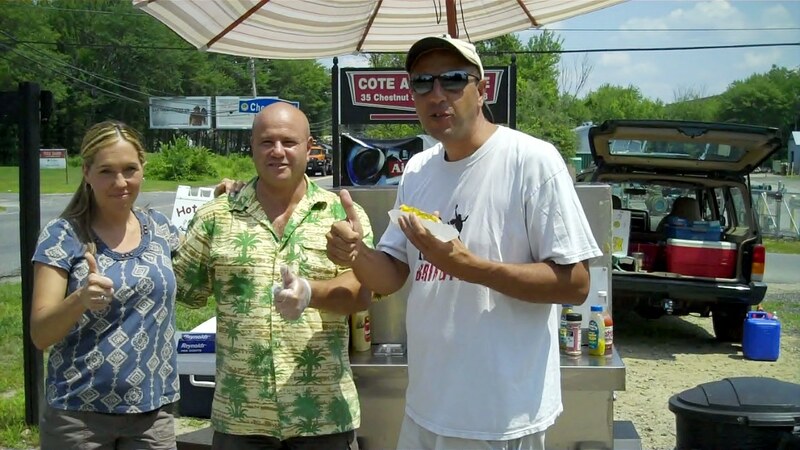 This guy joked around while waiting for his chili dogs. He said his camera shy friend wouldn't get his picture taken because he's in the witness protection program. 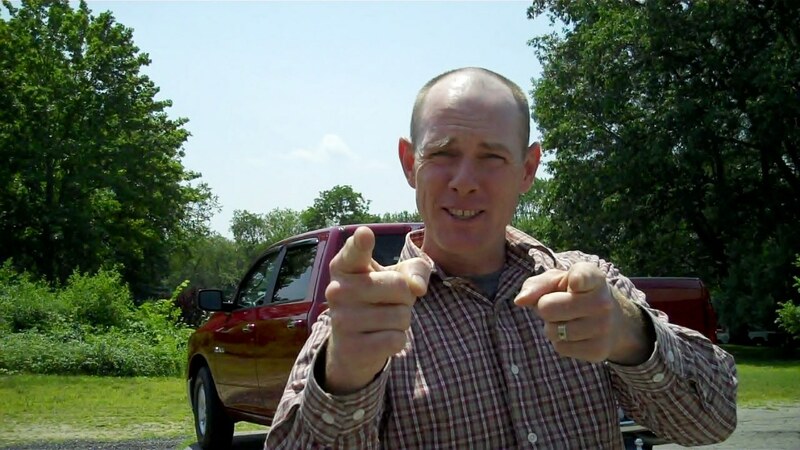 He was kidding.... I think. 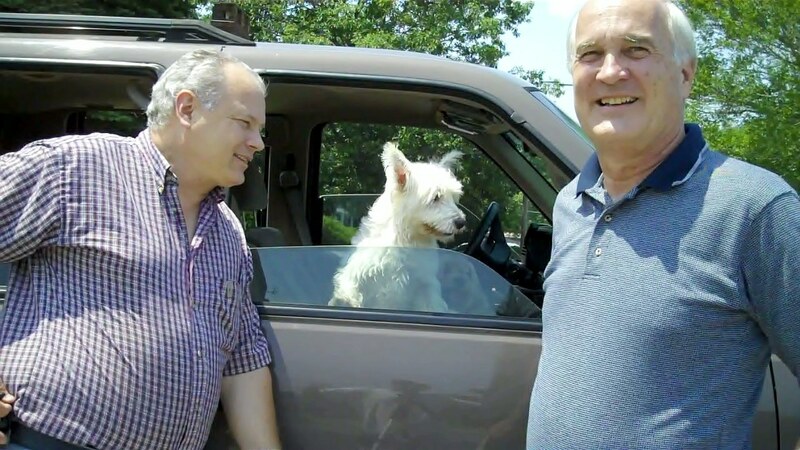 These guys made sure the dogs weren't hot. The hot dogs at Jeannies Weenies are the hottest around. 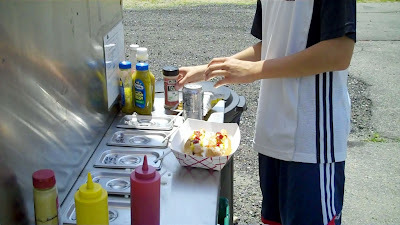 I think Bruce is right- hot dogs DO taste better from a hot dog cart; especially when it's from Jeannie's Weenies. I see five thumbs up in this picture- it would have been six, but I didn't want to drop my hot dog! 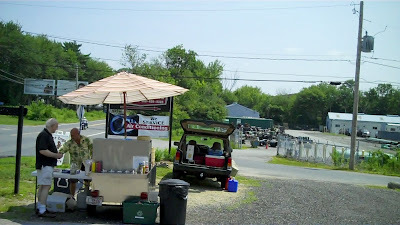 When you're in Holliston going down route 16, stop at Jeannie's Weenies and tel Bruce and Jeannie "the Hotdogman sent me." 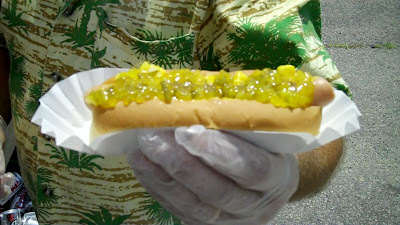 See the video of my visit to Jeannie's Weenies on Hot Dog Stories.